It's a gorgeously warm night, and a lovely breeze is drifting through the house. BBC radio is playing and all is, for the moment, calm. In the past few days, I've gotten some lovely invitations to dance and also had the opportunity to recount my own history of dancing in the UK. Is twelve years of life many or few? Marveling at the audacity of my youth and the peace of now. Life is so rich; difficult at turns but gorgeous and so full. Exactly now, I feel the strength, the weft and weave, of all of my threads together in a private tapestry. I have crafted this little scene that is London and San Francisco, everywhere and singular, and it is mine--temporary and lovely. 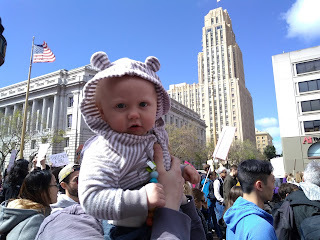 I spent today marching with my little family down Market Street, alongside countless other parents, children and tiny babies, speaking up against chronic, awful inaction in the face of school shooting after school shooting. So many signs clearly made by children. So many teenagers relishing the protest, raising their voices and their spirits to fight against death and apathy. 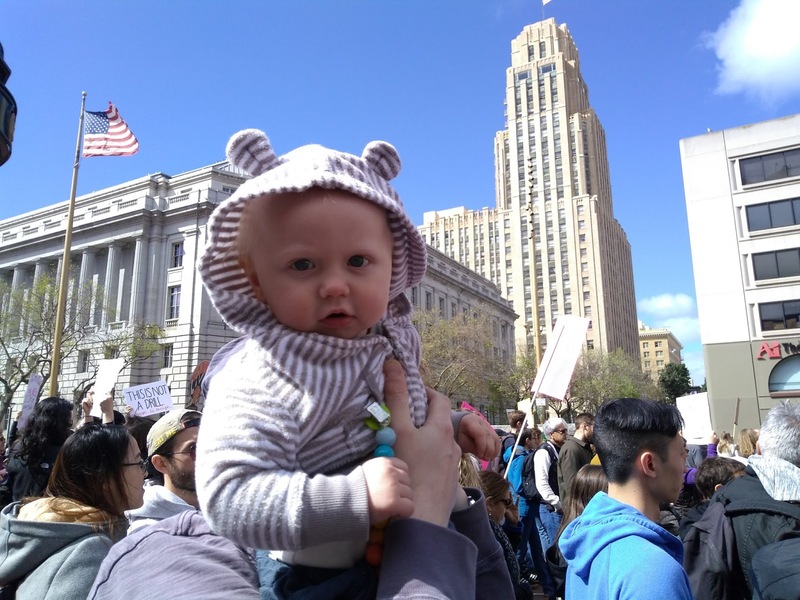 Many times, I looked at my little boy, laughed with him as he rode high on his daddy's shoulders, and watched him take in the energy and spectacle of the march. May he never know an active shooter drill. May his teachers never have to argue that they should be armed with a proper budget for paper and pencils rather than firearms. May our nation finally advance to the level of civilization enjoyed by other countries who acted swiftly and definitively to protect children in places of learning.